Not only is Bet365 one of the world’s largest online betting networks, it is also one of the very best in the business. Whether it’s sport or racing, local or international, you will find competitive odds on whatever kind of betting market you’re looking for, along with some top-value bonuses and promotions for customers. New punters at Bet365 can revel in free bets, bookie bonuses and a number of other perks. Click any of the links in this bookmaker review to sign up today and claim a bonus bet up to AUD $200. Pull up the Bet365.com homepage in your Web browser and you will see straight away these guys have all the bases covered. The left-hand menu offers easy access to every major racing and sports category, the centre of the screen is filled with upcoming events and in-play betting options, while the right-hand side is where you will find your virtual bet slip and featured betting specials. Above the bet slip you will see another menu with links for the help desk and live streaming of popular sports events. There are also two drop-down menus: one where you can switch between decimal, fractional and American odds displays, and a ‘Services’ option with links to banking information, ongoing and upcoming promotions, details about betting on smartphone and tablet devices, and more. There is also a ‘More Sports’ tab which features dozens of additional options, including badminton, handball, lawn bowls, live poker, surfing, swimming, table tennis, triathlon and wrestling. The official Bet365 mobile app is available for free download at both the App Store (iPhone, iPad) and Google Play (Android). Built with an emphasis on intuitive navigation and ease of use, it offers easy touch access to the cashier, betting slip, promotions page, and all sports and racing markets. If you prefer to bet on the go without installing an app, Bet365 also runs a fully integrated mobile website for Chrome, Explorer, Safari, and all other HTML5-equipped Web browsers. With the same essential features as the Android and iPhone apps, this is a great alternative for those who use BlackBerry or Windows Phone devices. You also have the option to create a Web app by visiting the Bet365 mobile site and selecting ‘Add to Home Screen’ from your in-browser settings. This neat shortcut takes no time at all and gives you all the functionality of a dedicated market application, but without any exclusivity or compatibility roadblocks. Thus, you can make your own Bet365 app for iPhone, Samsung, Motorola, Nokia, BlackBerry – any smartphone or tablet device with browsing capabilities. AUD deposits can also be made via BPay, bank transfer and cheque, although standard processing times apply. For more information on funding your betting account with Australian dollars, see the ‘Banking’ section at www.Bet365.com. 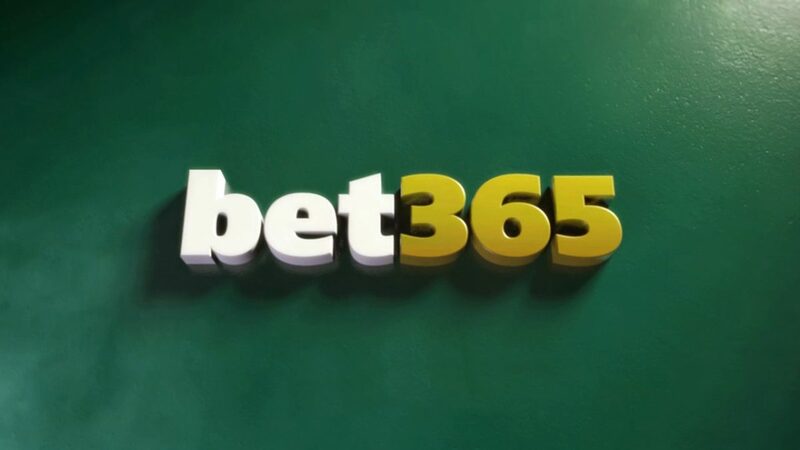 Verified Bet365 customers can choose from several quick cash-out options, including secure e-wallets such as Neteller, PayPal and Skrill which offer same-day processing. But there is an even faster way to get your winnings out of your account into your hands. The Bet365 Visa Card works much like a standard debit card, except it allows you to withdraw and spend funds direct from your online betting account. You can shop online, make in-store purchases and withdraw cash from ATMs all over the world. To find out more and learn how to apply, log in to your Internet betting account and select ‘Bet365 Visa Card’ from the ‘Services’ drop-down menu. Like all the best betting sites, Bet365 is fully licensed and regulated. It also has a certified Secure Socket Layer (SSL) protocol to ensure all information and finances passing through the site are properly encrypted and shielded from harm.